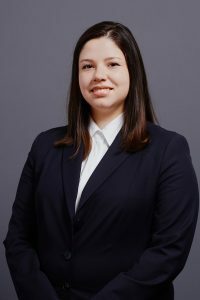 Prior to joining BODENHEIMER HERZBERG, Ms Dutra held positions, inter alia, with a Brazilian business law firm based in Recife (Brazil). Ms Dutra holds a Postgraduate Master of Law, International Dispute Resolution, Humboldt-Universität zu Berlin (Germany). She is a graduate of the Federal University of Pernambuco (Brazil).